We are glad to introduce you to our partners – the sites and resources for those who love and are learning the Russian language! 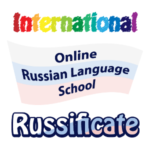 Russificate is an international online Russian language school, founded in 2013 by a Russian language teacher. They offer one-on-one Russian classes with native speakers and professional certified tutors from Russia via Skype. You can choose among a great variety of courses or choose your own personalized program. The first 30-minute lesson is free. Russian slang voiced by a native Russian speaker. Interesting two-minute podcasts by a native speaker, provided with complete transcripts in Russian. This resource will surely be a good addition to regular lessons for upper-intermediate and advanced learners and also for those who want to go beyond standard textbooks or to brush up on their knowledge of Russian. This site is full of interesting learning topics for all levels. Each lesson comes with an audio file, so you can learn new vocabulary and practice your listening skills at the same time. If you have just started leaning Russian, there are two things which are the most important for you on at this stage: grammar and pronunciation. This site provides you with essential Russian grammar, gives examples, and lets you listen to these examples recorded by a native Russian speaker. A great help for any beginner! This site provides a great collection of language learning resources from free podcasts and phrasebooks to some schools and learning methods. Most content is in Russian but there is also a section for English speakers. Languing is the free language network where you will be able to learn, practice and share any language wherever and whenever you are through videoconferences. You will meet interesting people for you and learn from them the language that you are studying. Languing gives you the possibility to do business while you are learning a new language because you will be able to look for your Languing partner by occupation filter. ENJOY LANGUING! Dict.com is the most extensive online dictionary with 29 languages in 616 unique combinations. You can work with grammar overview, pronunciation recorded by native speakers or phonetic transcription, examples of use, very friendly user interface, phrasebooks, word usage and many more features you’ll appreciate when learning foreign language. Created in 2005 as Expat Blog, Expat.com is the exchange network dedicated to life abroad. It provides free information and advice to those living or wishing to live overseas. Share your expat experience! We rely on the experience of expatriates by inviting them to share it on the website: everybody can participate! 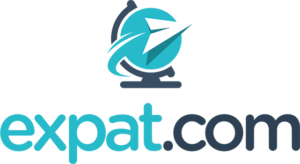 Designed by expatriates for expatriates, Expat.com helps people who want to live abroad, wherever they are in the world, and wherever they would like to live. Have your Candidates Assessed by Native-speaking Teachers! 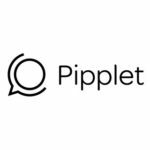 Pipplet’s virtual interview app interacts with your candidates using realistic role-plays. They speak, listen, read and write in the language. A worldwide community of verified language examiners assess their real ability to interact professionally. You get the best assessment possible to address your business needs within 24 hours.